Don't worry. Be happy. Keep learning. : Organize a makeup drawer. Since we moved into our new house, we've been overwhelmed by the amount of storage we have! To most people it's probably the normal amount of storage, but coming from a 125 year old house with only 2 closets to a brand new house with 5 closets and 1,000 drawers. . . we're in Heaven. 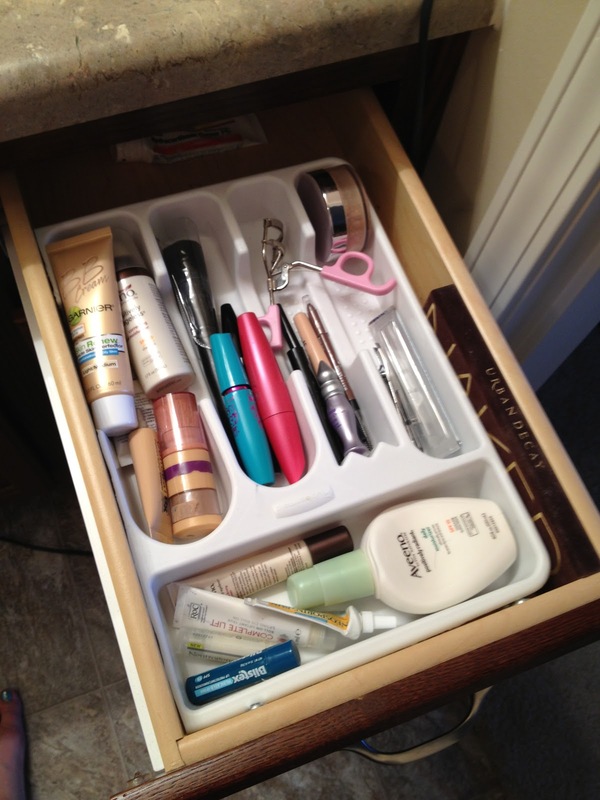 In our master bathroom, I have my OWN DRAWER just for my makeup. 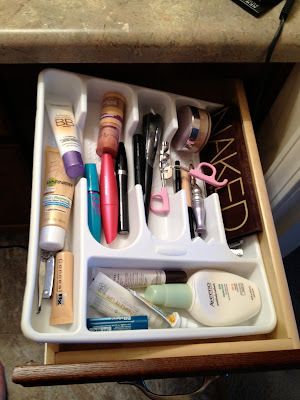 Until I organized it, things were sliding all over the place. I had an old silverware organizer in a "garage sale" box that I found and decided to use. It was actually too wide for my drawer. So I cut it with scissors and made it fit! 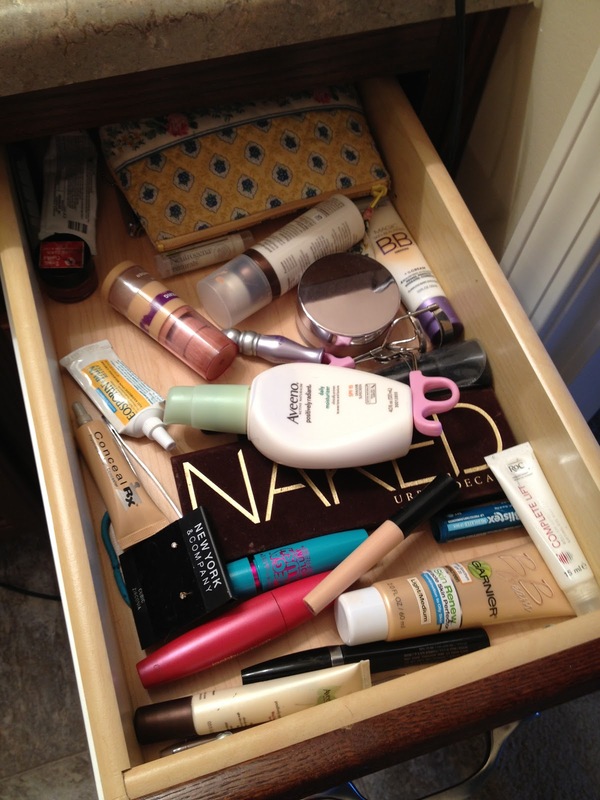 It's so refreshing to see my makeup organized and where it should be. 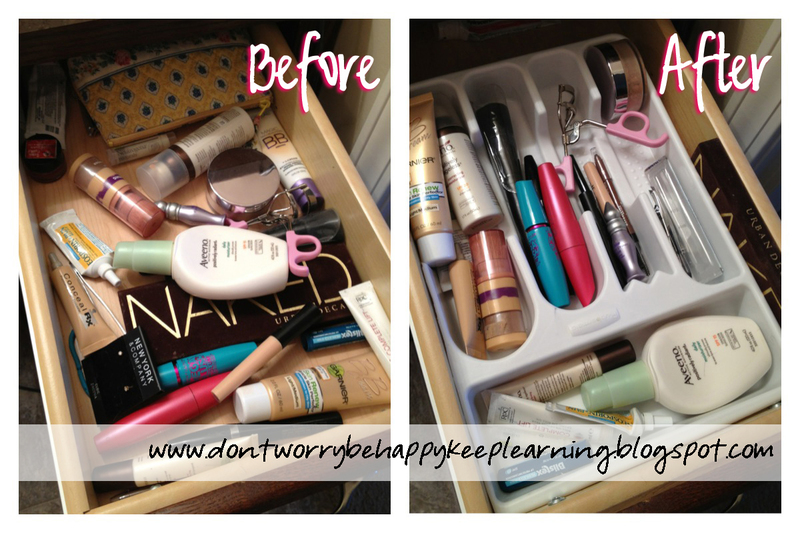 No more searching for eye liner pencils in the back of the drawer. at 10:54 AM Topics: Blog., Cleaning., Handy Tips., Organization. No matter how slow you go.